The profile for the HTV operations is as follows. 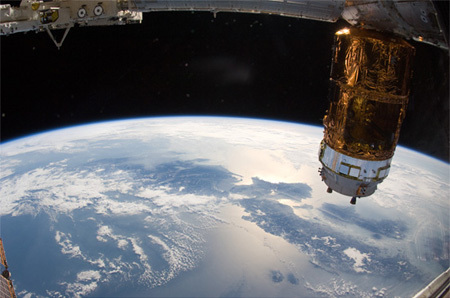 The HTV will be launched from the Tanegashima Space Center aboard an H-IIB launch vehicle. 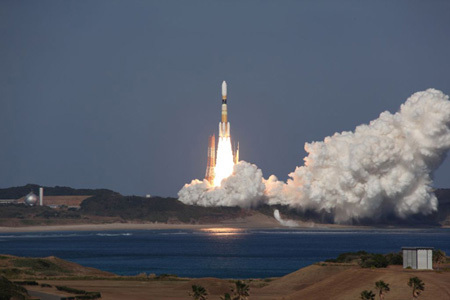 After separating from the H-IIB launch vehicle, the HTV will automatically start-up the HTV subsystems and initiate communications with the HTV Mission Control Room (HTVMCR) at Tsukuba Space Center (TKSC). After separating from the H-IIB launch vehicle, the HTV will approach the ISS in the sequence described below. After separating from the H-IIB launch vehicle, the HTV will automatically start-up the communication system and initiate communications with NASA's Tracking and Data Relay Satellite (TDRS). The HTV status will be monitored from the HTVMCR at TKSC. 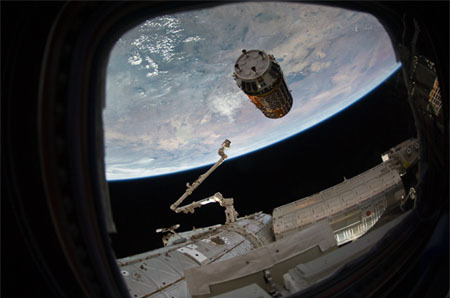 It will take about three days for the HTV to reach close proximity to the ISS. When the HTV reaches the "proximity communication zone" (23km from the ISS), the HTV will then be able to directly communicate with the ISS. The HTV will establish communications with the Proximity Communication System (PROX). While communicating with PROX, the HTV will approach the ISS guided by GPS signals until the HTV is 5km behind the ISS. At this point, the HTV will maintain this distance from the ISS. The HTV will slowly approach from the nadir (bottom) side of the ISS (from the direction of Earth). The HTV will then be grappled by Canadarm2 and berthed with the ISS. This phase is called the "Berthing Phase." The HTV's approach in the Berthing Phase is as follows. Guided by GPS signals, the HTV will approach to within 500 meters below the ISS. While using the Rendezvous Sensor (RVS), the HTV will move closer to the ISS guided by the reflectors that are installed on Kibo. At this point, the HTV will maintain a distance of 10 meters below the ISS. 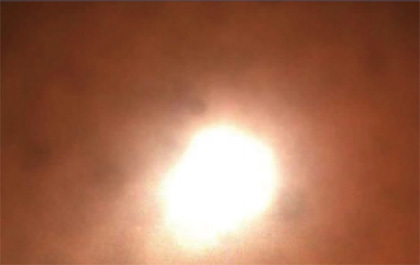 The HTV approach speed during this phase is 1 to 10 meters /minute. During the approach, the ISS crew can send commands such as "HOLD," "RETREAT" or "ABORT" to the HTV. Once the HTV is within a certain distance from the ISS, the HTV thrusters will be disabled. 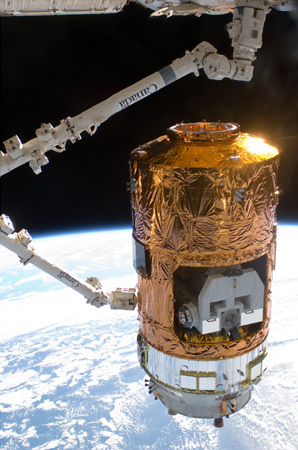 Next, the HTV is grappled by Canadarm2 and berthed to the nadir (bottom) side of "Harmony" (Node 2), through Harmony's Common Berthing Mechanism (CBM). While the HTV is berthed to the ISS, both the HTV and ISS hatches will be opened. The ISS crew will then transfer the supplies (ISPRs, drinking water, clothes, etc.) from the HTV Pressurized Logistics Carrier (HTV-PLC) to the ISS. After the supplies are transferred, the HTV will be loaded with waste from the ISS. 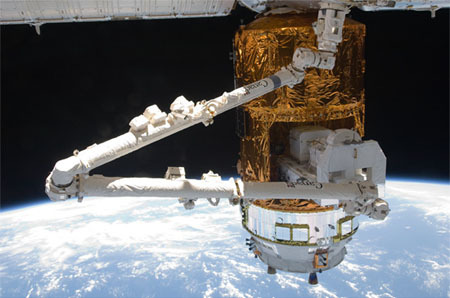 Next, the ISS crew will unload the Exposed Pallet from the HTV Unpressurized Logistics Carrier and attach it to the ISS Mobile Base System or Kibo's Exposed Facility using the Canadarm2. After being loaded with waste, the HTV will undock and separate from the ISS and then be destroyed during reentry into the atmosphere. 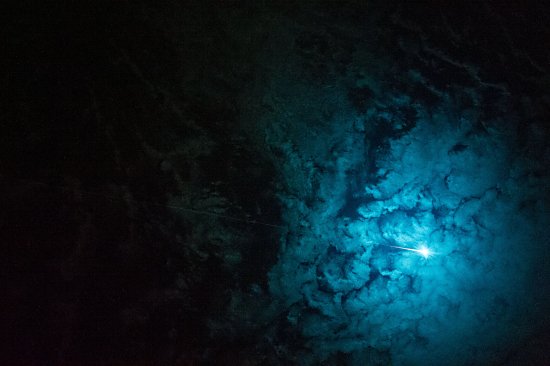 The HTV debris is expected to fall within the South Pacific Ocean. However, the Indian Ocean is also planned as a backup area.